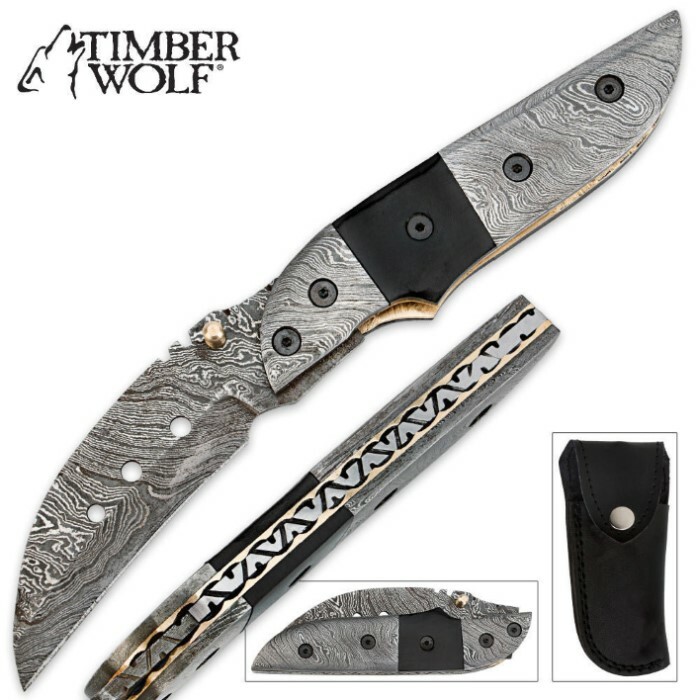 Timber Wolf Damascus & Buffalo Horn Hawk Bill Folding Pocket Knife With Sheath | BUDK.com - Knives & Swords At The Lowest Prices! Timber Wolf sets the bar high, but this new folding pocket knife makes the reach with its exquisite combination of top-quality craftsmanship and premium materials. 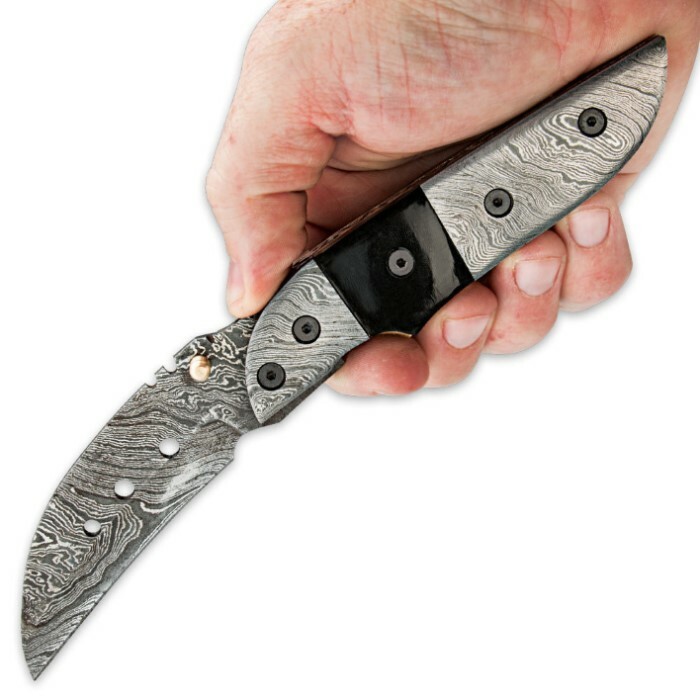 The Damascus steel hawk bill blade is razor sharp and culminates in a piercing point. 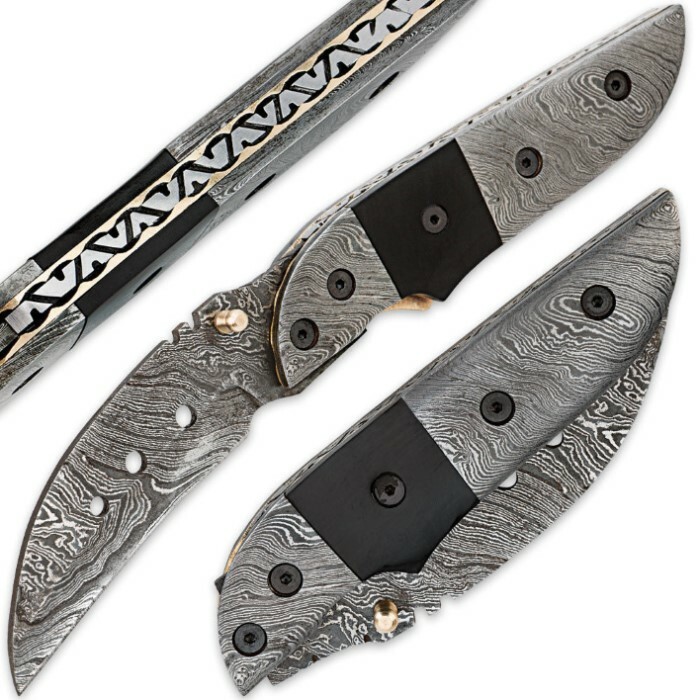 The Damascus steel continues onto the bolster and handle, which is completed by inlaid buffalo horn. The brass thumb stud provides fast access to the blade, and the brass liners and accents add even more elegance. Hawk bill blades are somewhat of a rarity at this size, making this an ideal everyday carry for the most discerning of buyers. It came well packaged and came in a bag with oil which was nice. Also very sharp, not razor sharp, but sharp enough. I would give it 5 stars but when i examined the knife closely i notice very small blotches of rust around the buffalo horn.